Tiny 500mA linear charge management controller. Includes integrated pass transostor, integrated current sensing, and reverse discharge protection in 5-pin SOT-23 and thermally-efficient 8-pin 2mm x 3mm DFN packages. 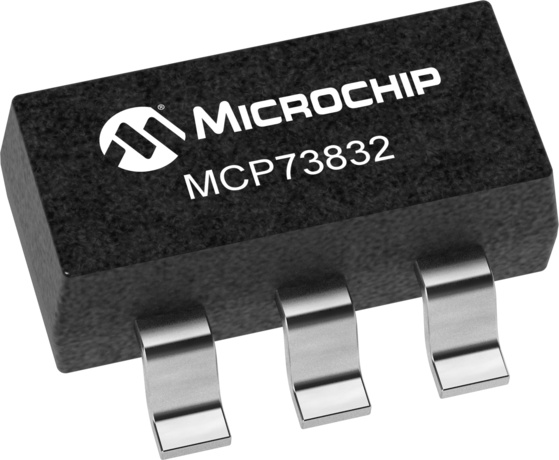 Different than MCP73831 in the fact that the MCP73832 status output is open-drain.